Are you in need of auto AC repair in De Pere, WI? When your car’s heating or air conditioning isn’t working properly it can really ruin your ride. 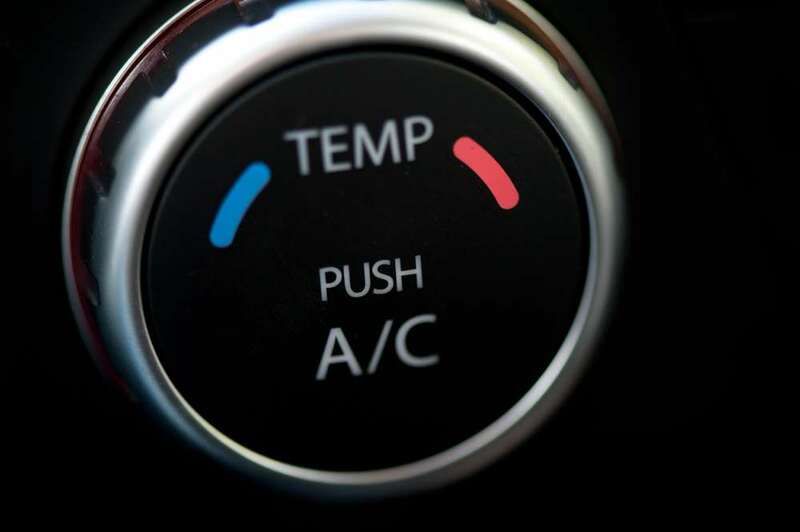 Don’t suffer in uncomfortable temperatures and driving conditions, simply give the heating and AC repair experts at De Pere Auto Center a call! At De Pere Auto Center, our local auto repair shop is focused on helping you maintain a safe, reliable and enjoyable automobile. Our mechanics are highly trained ASE Certified Technicians who have experience taking care of the heating and air conditioning systems on all makes and models of domestic and import cars, pickup trucks, SUVs, minivans and crossovers. We have the latest technology and diagnostic equipment to determine exactly what is wrong with your vehicle, and then provide the correct auto AC repair service. Plus, we guarantee our auto repairs with a great 2 year/24,000 mile warranty, so you know your car is in the best hands! Usually you’ll be able to tell pretty quickly if your car’s heat or air conditioning isn’t working, but sometimes your car will give off some more subtle signs that it’s cooling system needs to be checked out. If you notice any of these six signs - or if you haven’t had your AC system serviced in a while - you should take your vehicle to your trusted auto repair shop and have them take a look. You hear an unusual noise when you turn on your A/C. Your vehicle’s A/C only blows hot air. Your car’s A/C only blows cold air sometimes, rather than consistently. You notice an odd smell coming from your air vents. Your front or rear window defrosters aren’t working properly. Your front floor mats are damp or wet. If you think something is wrong with your car’s air conditioning or heating system, don’t put off getting it fixed! Driving should be enjoyable, not something that you have to suffer through. The AC repair experts at De Pere Auto Center are happy to help and answer any automotive questions you have. Simply stop by, give us a call or easily schedule an appointment online today!